Worth the price! It works like a charm. 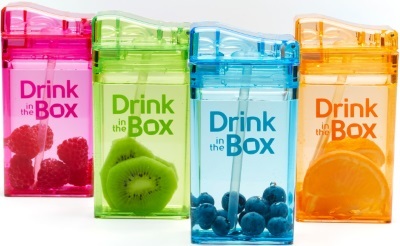 My kids love their drink box, it never leaked in the lunch box, and the size is perfect. Although I have only used it once so far, I like this product a lot. I try not to give my daughter too much juice, but for the times that I do, this thing is great. The lid to access the straw is easy enough for her to open herself (she's 2), but the whole lid (to refill) is pretty hard to get out, so I don't worry about her opening it and spilling the whole container. My favourite thing is that the container is reusable, so I don't create a bunch of trash by giving her disposable juice boxes. Also bought the little ice pack to go with it and it was perfect. Wish I had bought two. So far, so good. Great that my toddler cannot pull the straw out and make a mess. Happy that it contains no BPA or phthalate. Great product just bought 2 more so I have spares. I LOVE that it comes with an extra straw so you don't have to worry too much. I have ones Ive owned for over 6 months and it hasn't leaked with regular use. I typically hand wash but I have thrown them in the dishwasher as well. Inspired by the juice box, children love them. 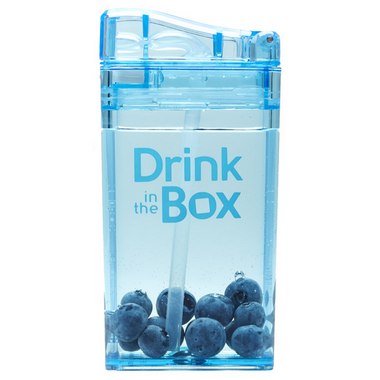 1) The container and lid are made out of BPA- and phthalate-free Tritan. The seals and straws are silicone. 2) We have had four for a few years. They have been dropped many times with little wear and tear. The straws seem to also withstand chewing. 3) They are lightweight, compact, and leak-proof, so excellent for toting around and travelling. 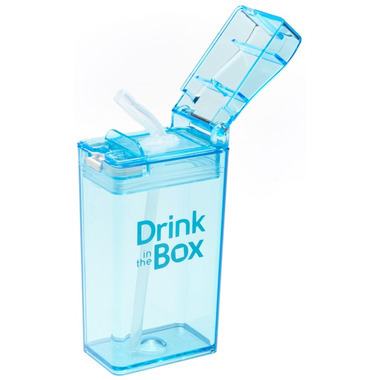 4) Only one hand is needed to open and close them thanks to the hinged lid and the button. 5) We have never had an issue with mold or unpleasant odours. 6) Maintenance is a breeze â€“ top rack dishwasher safe with no â€œbut hand washing recommendedâ€� caveat. They have remained clear with no clouding even after many runs through the dishwasher. Thanks to a simple, and functional design, they are quick and easy to disassemble and reassemble. Love the look of it but it does build up a lot of pressure, keeps squirting out water/juice when my son opens it! The kids love these and so do I. No leaks, but I do recommend putting the lids on while they are open so you don't build up pressure in the straw. My son had it squirt a few times when he opened it. Lightweight, durable, perfect size for little hands. My son likes to take it everywhere and it can be carried in the pocket. Will get another one for his lil bro! Love these...we have never had leaking issues but did have the lid break when dropped. Will buy again and I recommend them. So far, no leaks. A little hard to pull off lid to rinse, but I guess that's a good thing. Great drink bottle. My son takes it to school everyday and we've never had a problem with leakage. The box always leaks. My son likes the look of it but I find it has to stay upright the entire time or it leaks from the sides. It's also too easy for my 2 year old to take off the top, often resulting in him dumping the juice/water everywhere before I can catch him. Will not buy again. My son loves it. Lots of parts to clean. Very good juice box. Maybe a little bit difficult to clean for young children but it's solid.